5 Bedroom Detached House For Sale in Milton Keynes for Offers Over £500,000. Set on the popular 'Racecourses development' and within easy access to Main line station and road links is this spacious five bedroom property. Positioned at the end of this quiet Cul-de-sac the property boasts three reception rooms including a well converted double garage that the current owners are using as a family room. The Master bedroom benefits from a walk in wardrobe and en suite and a further en suite can be found off the second bedroom. 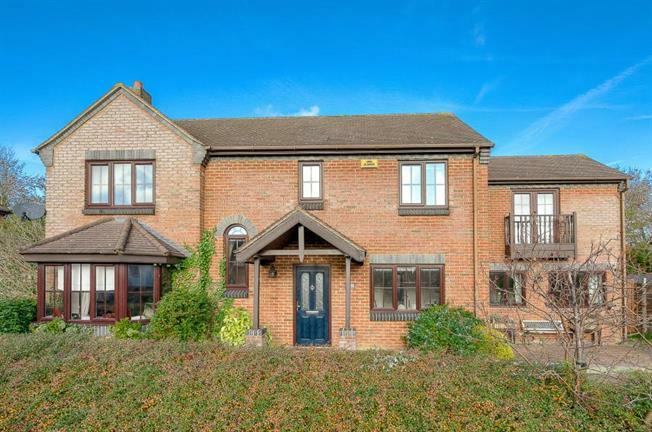 Within a short walk of local convenience stores, Windmill Hill Golf Club and a short drive to the MK1 shopping area with many restaurants and Imax cinema this property makes for the perfect family home. The accommodation in brief comprises: Entrance hall, lounge, dining room, family room, kitchen, utility, cloakroom, master bedroom with en suite, bedroom two with en suite, three further bedrooms, bathroom, front and rear gardens, off road parking.